Earth Day is here again. This is another chance to, if not be the solution, at least be less of a problem for Mother Earth. Let's start with something easy. If you want to go green, start being more conscientious of the lighting in your house. 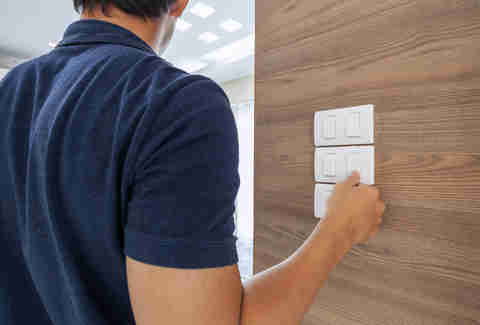 If you leave the room, flip the switch. If you want some light in the kitchen at night, get a small light that plugs into the outlet. If it's during the day, try opening the blinds instead of flipping the light switch. It'll be a more pleasant vibe anyway, plus you'll save money and increase your home's energy efficiency. You can also start getting smarter about the type of lighting you use. Be on the lookout for Energy Star-qualified products (by the way that applies to pretty much all household appliances -- if you're serious living in a green home you should be buying these products). These are marked by a blue star that you'll probably recognize that means it meets the EPA's standards for efficiency, value, and environmental impact. If you replace your five most-used light fixtures/light bulbs with Energy Star equivalents -- which generate 70% less heat, use about 75% less energy, and last 10 to 50 times longer than standard lighting --you'll also save an estimated $70 a year on energy bills. If every household in the US did the same, "the change would prevent the greenhouse gas emissions equivalent to the annual emissions from more than 10 million cars," according to the EPA. Heating and cooling your home takes up around $1,000 of your energy bill per year on average, which means you're using a lot of energy on it. If you address it, you'll be cutting that number down and reducing the impact your home has on the environment. Consider a programmable thermostat, which can save you up to $180 a year in energy costs, according to Energy Star. But a thermostat won't make much difference if all the air is getting out, so you should also add insulation throughout your home, seal air-leaks, and when purchasing windows make sure they're Energy Star approved. When you're sealing your home, pay particular attention to heating and cooling ducts. In the average home, "about 20 to 30 percent of the air that moves through the duct system is lost due to leaks, holes, and poorly connected ducts," according to Energy Star. If that's happening, adjusting your thermostat will be in vain. First, you'll want to seal ducts around attics, crawl spaces, unheated basements, and your garage. Make sure to use duct sealant (mastic) or metal-backed (foil) to tape the duct's seams and connections, and ideally wrap them in insulation after. 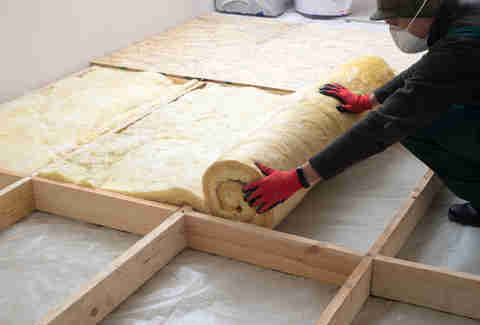 Then you can move onto other ducts in the parts of the house that you have more control over and continue insulating from there. This may not be as obvious, but in reducing food waste we reduce methane emissions from landfills and lower our overall carbon footprint. 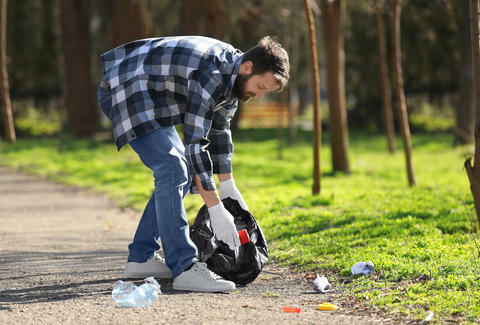 Potential pollution is involved in every step of the process, including the growing, manufacturing, transporting, and selling of the food -- plus when it's eventually taken to the landfill, which are themselves disastrous for the environment. According to the EPA, roughly 95% of the food we throw away -- 38 million tons in 2014 -- ends up in either landfills or combustion facilities. This is another one that's pretty easy to address. For instance, before buying more food, use what's already in your refrigerator. Really think about how often you'll be eating out vs. cooking and shop accordingly. With fruits and vegetables, it helps to store them in proactive ways, like freezing or canning. Also, as a lot of fruits ripen, they give off natural gases that make the fruits around them spoil faster, so it helps to store bananas, apples, and tomatoes separately. Also, eat less meat. The industry's current set up leads to a huge amount of greenhouse gas emissions. Finally, if you have food you're not going to use, donate it to a food bank or food pantry. It puts the food to use and& help those in your community who are less fortunate. 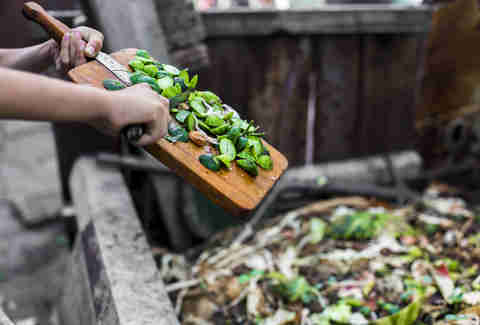 We'll get into this more in a minute, but you should also consider composting when you can to avoid sending more waste to the landfill than is necessary. Most of us use water without any though, which means this is pretty simple to address: Start thinking about it. For starters, stop buying bottled water when you can help it and get yourself a nice aluminum water bottle. Frankly, water bottles are trendy, and a reusable water bottle means you're also not wasting all that plastic. You'd also be shocked by the amount of bottled water that's just filtered tap water -- and you can get water bottles with built-in filters anyway. The amount of energy used to pump, treat, and heat water is immense, and so is the release of greenhouse gases from that energy use, so the less water we use on a day-to-day basis the better -- but especially in our home. In fact, 3% of our nation's energy is used in that process. A lot of the ways to reduce water use in the home you learned as a kid: When you're brushing your teeth, turn off the faucet. Take shorter showers. 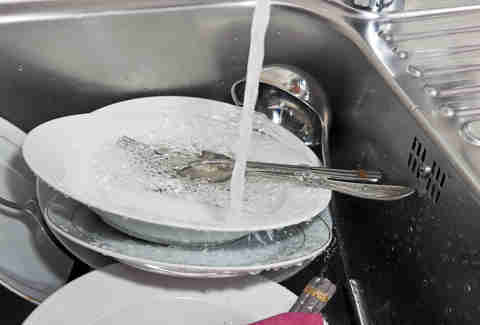 If you're doing the dishes don't just let the hot water run full blast the whole time. Also, when purchasing things like showerheads, look for products with the WaterSense label to find those that meet the EPA's standards for efficiency and performance. And mind your appliances (ideally these will all be Energy Star certified). A leaky toilet can waste up to 200 gallons of water per day, according to the EPA. Simple repairs to your faucets and toilets can be a big step toward reducing water waste and greenhouse emissions in your home. This is yet another thing that we've been told our whole lives so you might think it's basic, but it's a really important step. A little effort goes a long way in recycling. For instance, if you recycle 10 plastic bottles (though you now use a water bottle) that'll save enough energy to power a laptop for over 25 hours. Recycling 1 ton of office paper saves the energy equivalent of consuming 322 gallons of gas. It adds up. So, separate the cans and bottles and paper, relearn the recycling basics. After you're up to speed on that, you should look into composting. Many areas will supply you with free or subsidized composters, which are basically just bins. To compost at home, you'll combine browns (dead leaves, twigs, etc. ), greens (vegetable waste, fruit scraps, coffee grounds), and water in a dry, shaded spot. This will eventually turn into a natural fertilizer and pesticide (meaning you won't have to buy potentially wasteful versions of those sold in stores) for use in your garden and yard. And all that you throw in there won't be headed to the landfill. That principle is basically what all going-green efforts boil down to: use as little as possible, and when you're done, reuse.